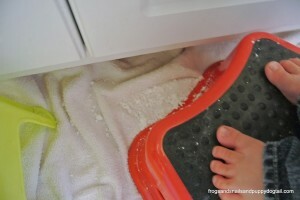 Over the years I have found that Sensory Play Activities are a huge hit with my boys. 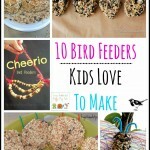 They love all the exploring and mess making that comes with sensory play. I love all the possible learning experiences they can have from one activity being set up for them. 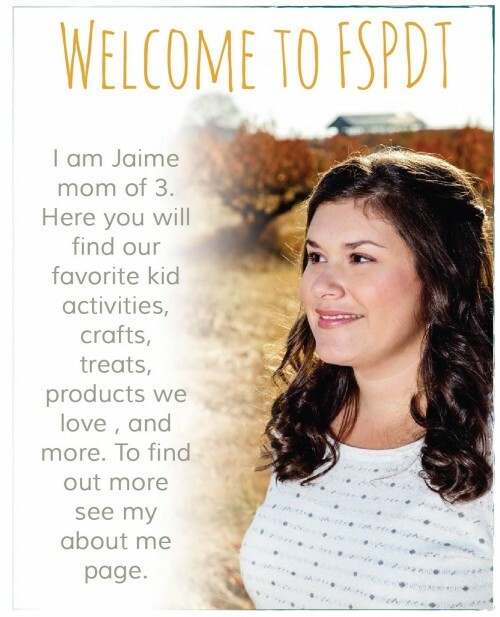 It works out great for me to set up a sensory invitation to play and let them take over for hands on experiences. I have mentioned in my Sensory Sink series and Water Bin series the importance of sensory play and the valuable learning possibilities. With all that said I am thrilled to be teaming up with Crayon Box Chronicles to bring you a Sensational Winter Sensory Play Series. We plan to bring you 3 sensational sensory activities for children over the next few Sundays. 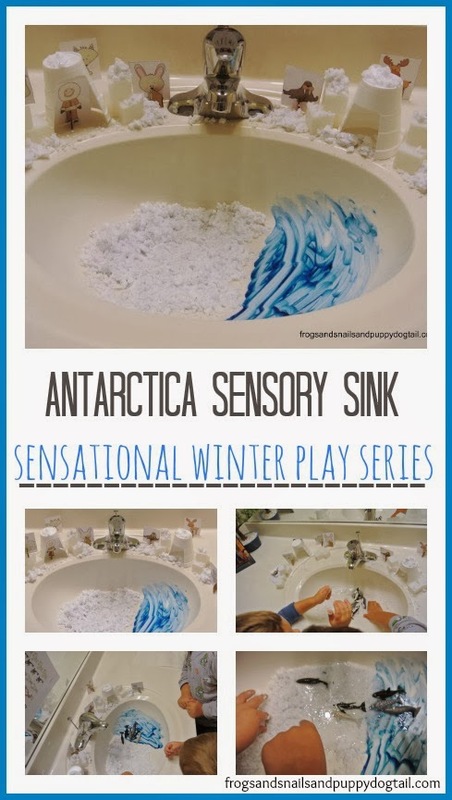 To start the series off we both have a fun Antarctica Sensory play activity to share with you. I had yet to set up an Antarctica theme when playing so I looked forward to trying it out. 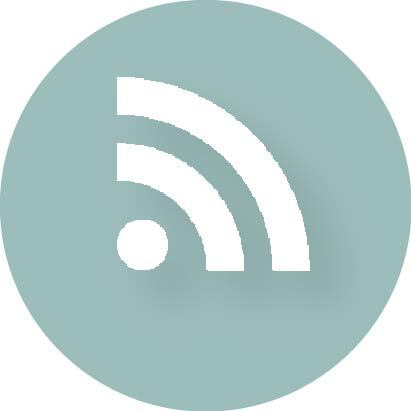 There are several ways to set up sensory play. For this activity I chose the sink to set up the kids with an invitation to play. Make sure to stop by Crayon Box Chronicles to see her set up for the week too. 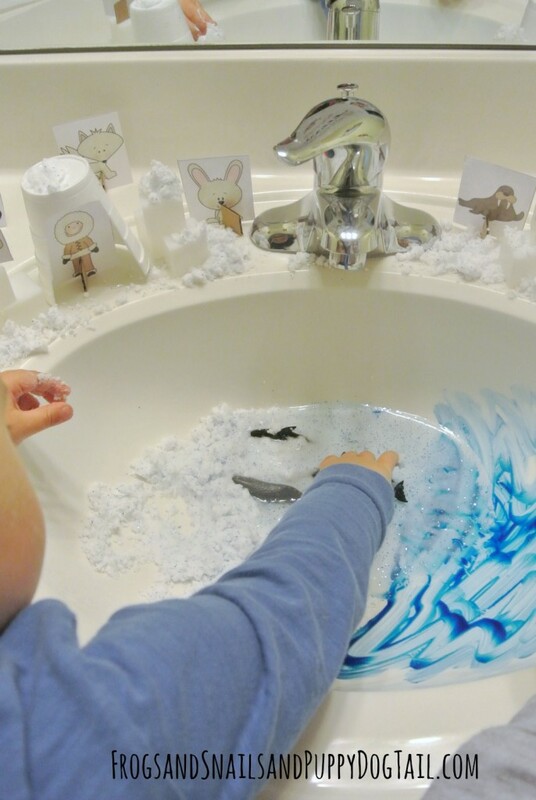 Plastic whales, foam cups, plastic ice cube game pieces, blue finger paint, DIY sensory snow, and Arctic Animals printables by Royal Baloo. (Since we didn’t have a lot of Antarctica toys I had to come up with something quick to add in. This wonderful learning pack was perfect. We got added play pieces and some learning sheets to work on later). I took the 2 foam cups and cut out a hole as the door for each igloo. I set them out on the sink. 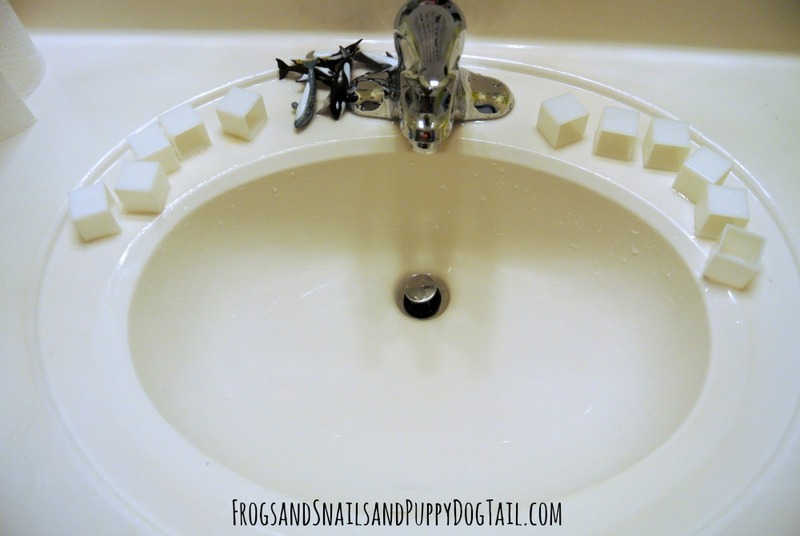 I took the play/ learning pieces we made and sat them along the sides of the sink as well. 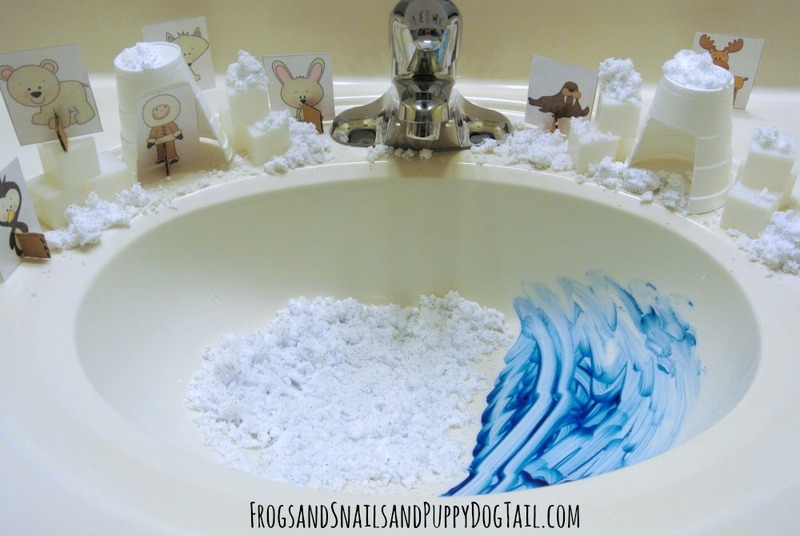 I got our homemade snow out and sprinkled it around the sink. I added some to the inside of the sink too. Did I mention this is sink safe snow! I also took blue finger paint and rubbed it inside the sink to look like water. Now we had a fun Antarctica set up for some sensational sensory winter play. My boys are 2 yr and 5 yr and both could not wait to get started. I thought I had turned the water to the sink off but you can see I had not. The kids turned the water on and to my surprise it came out. I had them stop for a second and tried one more time. I had it this time. They played with the little bit of water in the sink for a while and then we let it out. I made them a little more snow and they continued to play. They got to explore the sense of smell, sight, and touch. 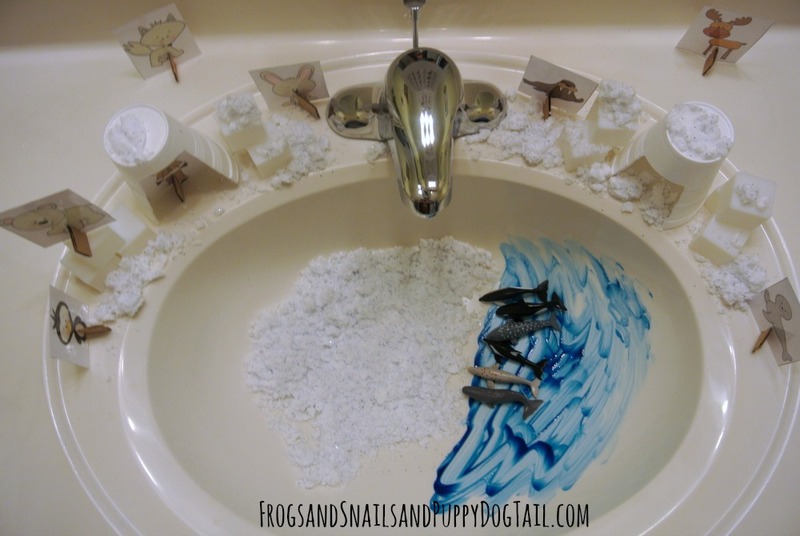 The sensory snow was a sensational touch to the sink. It was the most enjoyed part as well. Perfect set up to let the kids imaginations take over. Very hands on and open ended for the kids. 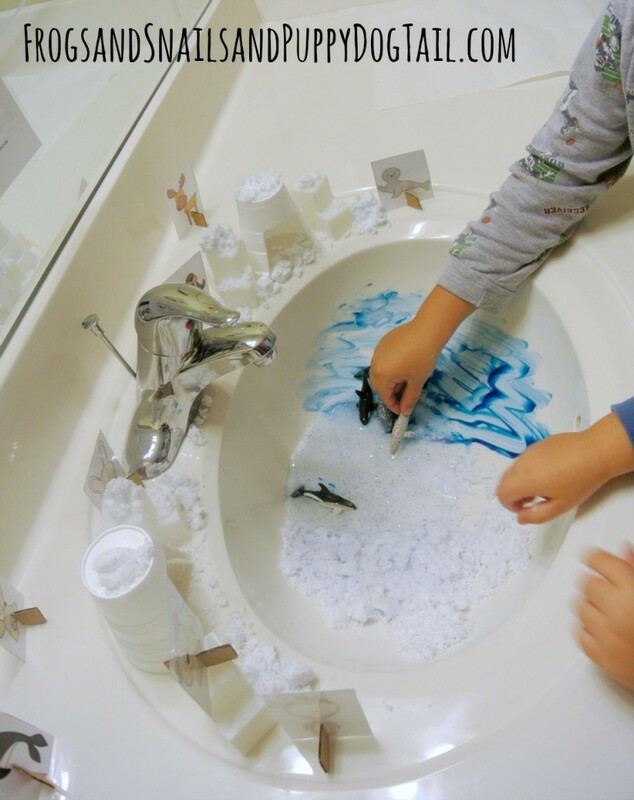 By giving them a sensory sink they get to come and and play as they want not as they are told to. Since I have 2 boys that play together in most of our sinks and bins this is a great time to work on sharing and team work. I always love seeing what the kids will come up with while playing. This day big brother figured out that he could make his own ice block by using the ice cube pieces and the sensory snow. By packing the snow in he could then tap it back out and it would stay intact. I always put a towel on the floor for our sensory sinks. As you can see they got a little snow on the floor. I just took the towel out after playtime and dusted it outside and then washed. Now you may be thinking this left my sink dirty or messy but quite the opposite. It was cleaner than before I let them play in it. We just washed it out and left the pieces to dry. 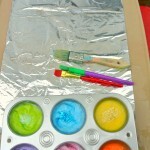 This sensory play activity was set up for the purpose of fun. Not based on true facts for the environment. This sink has Arctic and Antarctica elements. Antarctica is the south pole as where Arctic is the north pole. 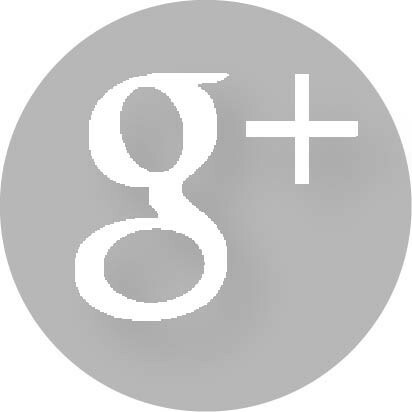 Antarctica animals are seals, penguins, whales, and krill to name a few. Arctic has fox, caribou, seals, whales, owl, and polar bear to name a few. This could be a way to teach the kids the differences between the 2 locations. They could pick out what belongs where. All of my sensory sinks can be done in a sensory bin or sensory table. However, I find the sink easy. This was an easy set up for me. I had to be creative though to make what we had on hand work for our set up. Sometimes if we just look around at what we have, there is enough to make a simple yet fun sensory play activity for the kids. This was a hit with my kids and I hope it can be with yours too. Do not forget to check back next week to see our second post in the Sensational Winter Sensory Play Series with Crayon Box Chronicles. I thought I did a lot with my son when he was little. he is now almost 20 and in college. I would have loved to have this set up for him! will keep it in mind for future grand babies thanks for sharing! 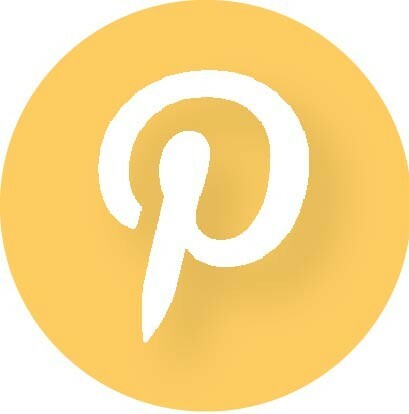 This is a cute idea, and I love how easy clean up looks! Looks like your tots had fun!